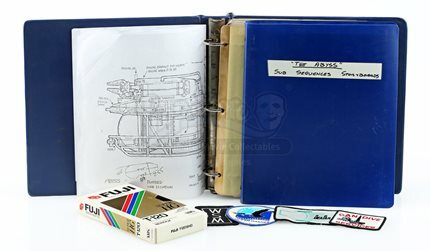 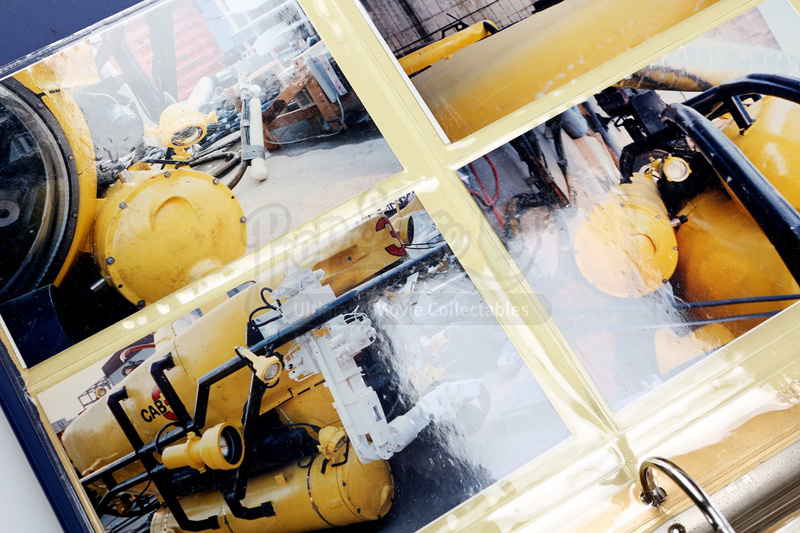 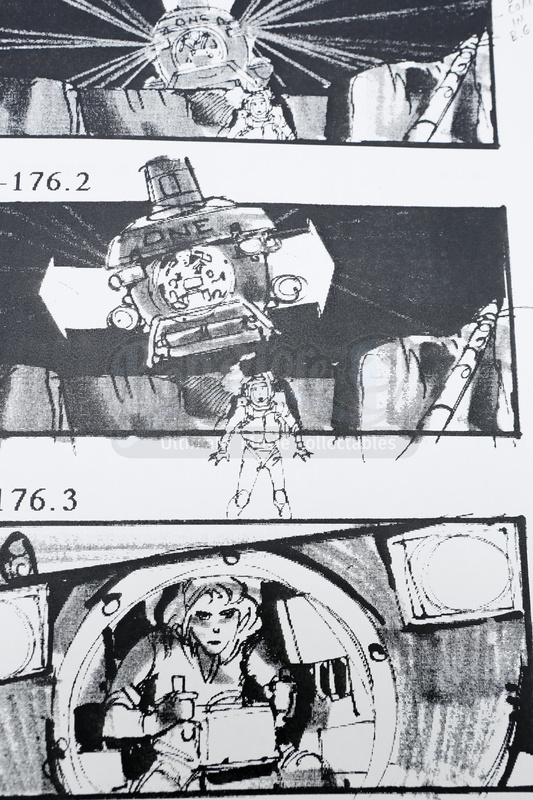 A storyboard binder and production ephemera from James Cameron’s underwater sci-fi adventure The Abyss. 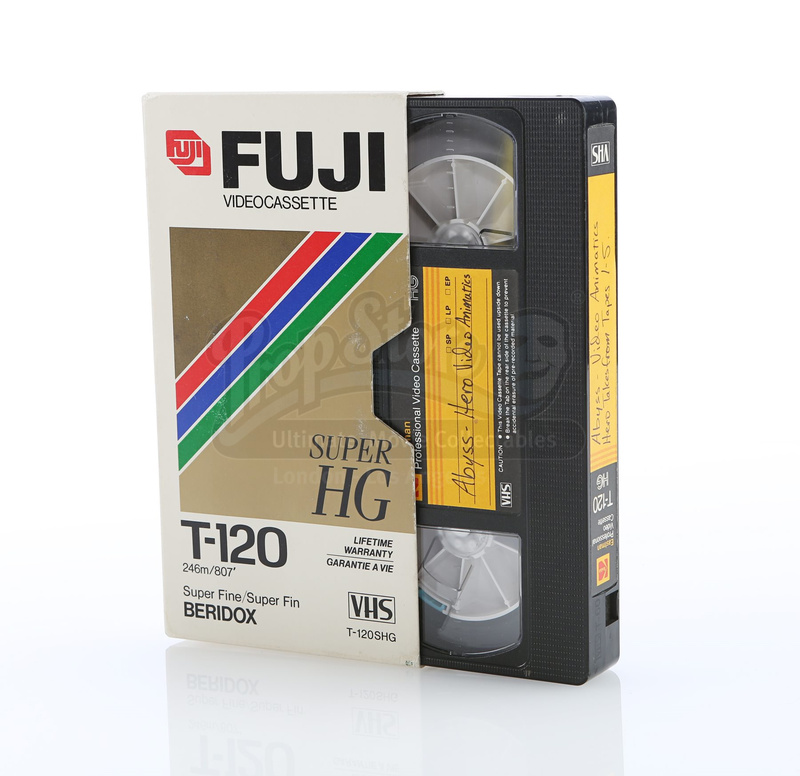 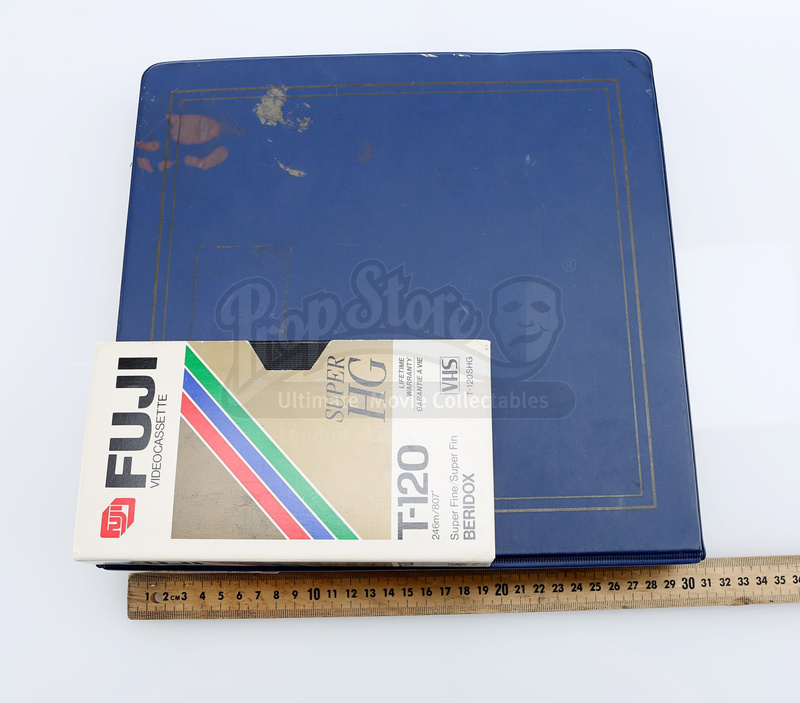 This set includes a storyboard binder, photo binder and an animatics VHS tape. 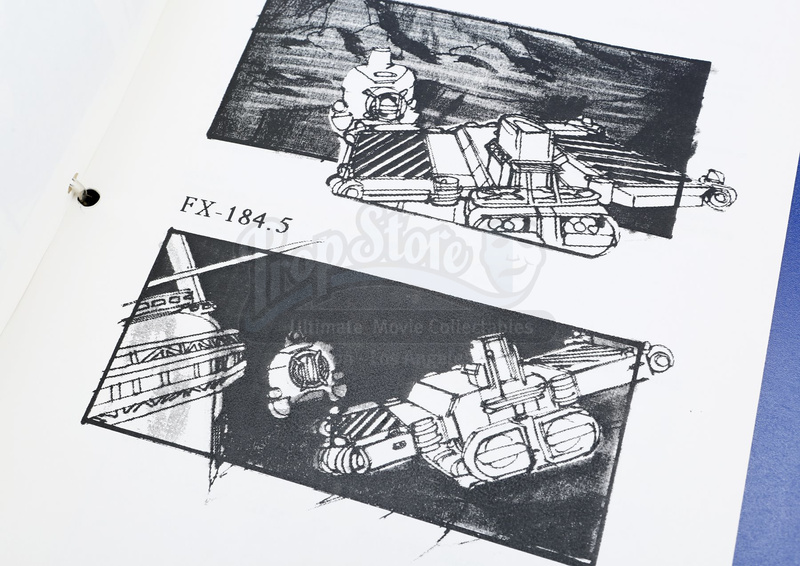 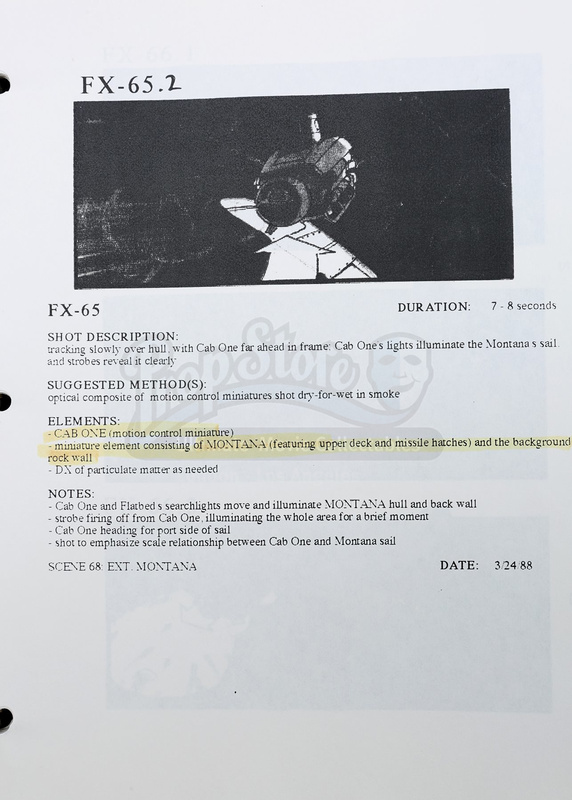 The storyboard binder contains over 50 pages pertaining to the underwater special effects. 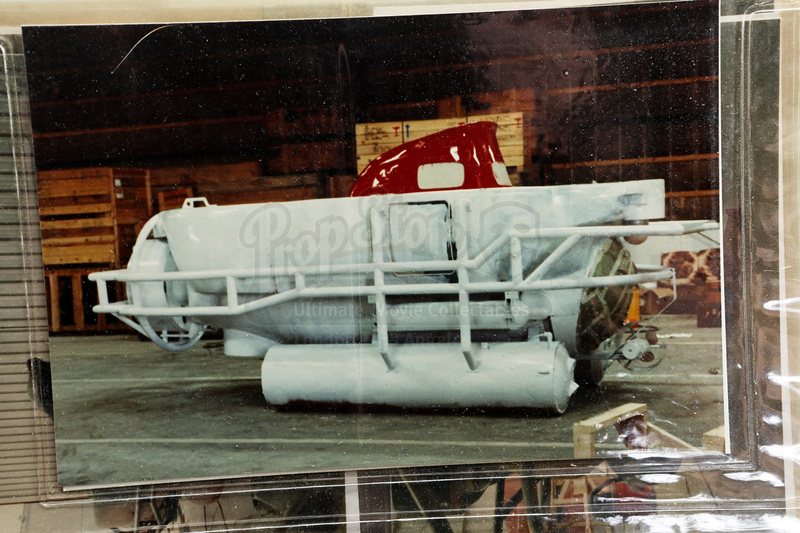 More than 150 photos are present, including behind-the-scenes shots of the film’s models. 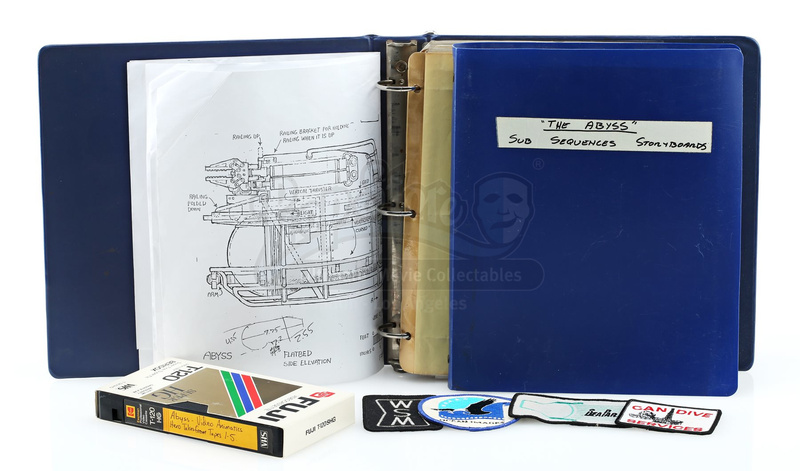 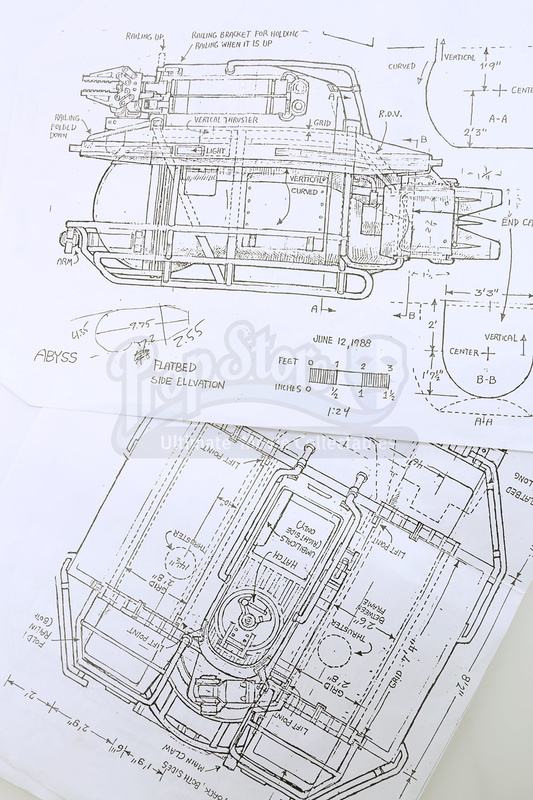 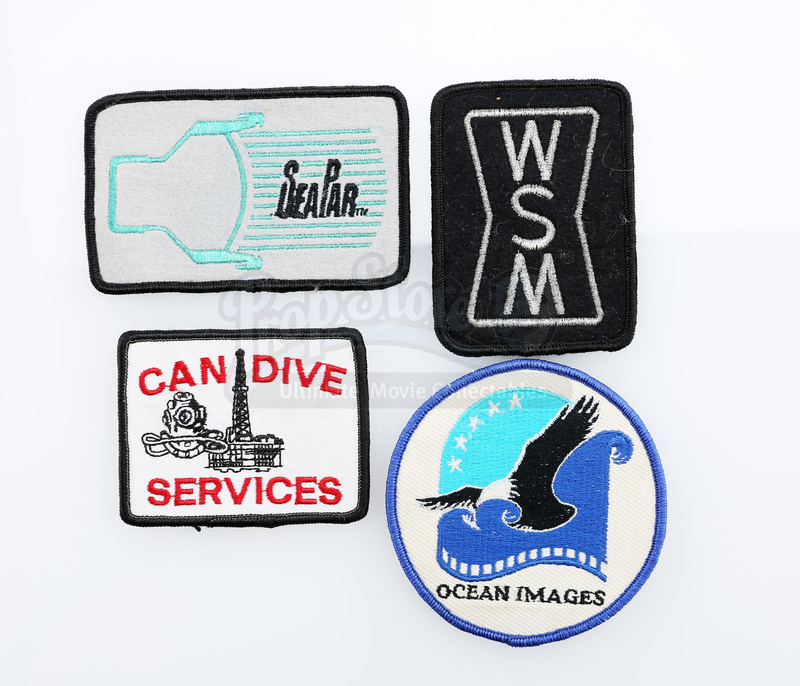 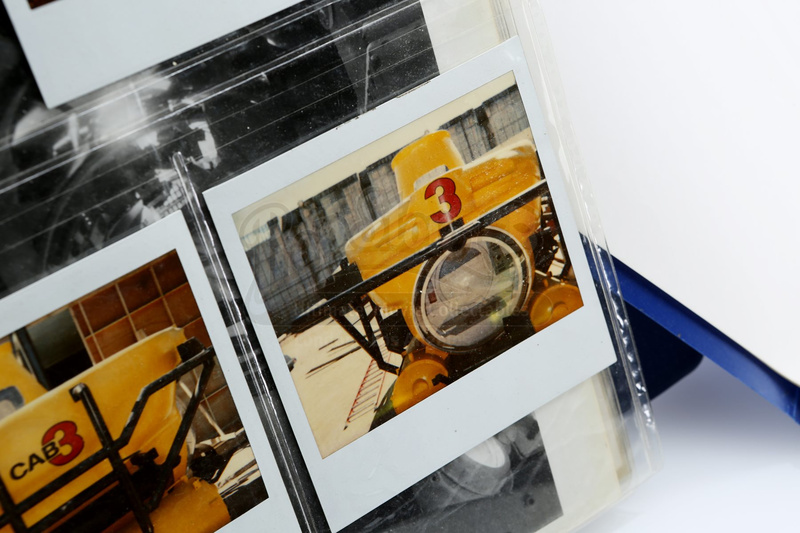 Additionally, this set includes four production copies of designs for the submersibles used in the film.